Russia's wrestlers have been competing for places at the London Olympics, and the recent women’s freestyle domestic championships in the Moscow region went some way to deciding, who will make it. 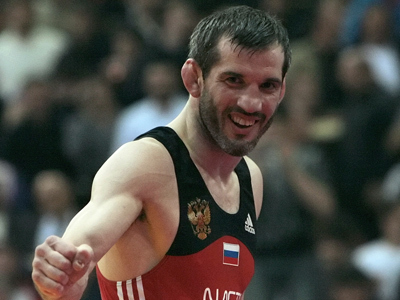 This year, Russia's Freestyle Wrestling Championship held a special importance. The results of this competition, along with other major events, will provide the basis for Team Russia to select the country's squad for this summer's Olympic Games in London. Despite the fact Russia still hasn't got Olympic licenses in two weight categories out of the four, the coaching staff are confident, the situation is going to change before too long. “I don't think, there is a real threat, that we won't have our athletes in any weight divisions. Moreover, in London we are going to fight for the silverware in all possible categories,” says the Vice-President of the Russian Wrestling Federation, Omar Murtazaliev. At the event in the Moscow region Russia's newest champions in all the Olympic weights were determined. Taking full advantage of team leader, Larisa Oorzhak's absence, the Under-48 kg class saw young talents step to the fore. As a result, 20 year old Nadezda Fedorova claimed her first domestic gold by outsmarting Lubov Salnikova in the final. The Under-55 kg title, however, was contested by some of the strongest competitors around at the moment. Valeria Zholobova, who is yet to turn 20, was facing the two-time European bronze medalist, Maria Gurova. The youngster's triumph in straight rounds was not totally unexpected, but her dominance was a little bit surprising. “It was very hard to win here, to be honest. The best athletes are here. But when you take part in such a tournament, it can hardly be different. Especially, if it's a part of an Olympic Games selection,” said Zholobova. In the under 63-kg category, 2011 runner-up Anastasia Bratchikova was too strong for rookie Anzhela Fomenko, as she claimed the first two rounds of the final in confident fashion. While the most highly anticipated bout of the day was the one between World Championship silver medalist Ekaterina Bukina and three-time youth World Champion Natalia Vorobyova. This Under-72 kilograms final lived up to expectations. Vorobyova's aggressive style earned her an early lead in the opening round.However, it didn't last its full length as her opponent was pinned to the mat, much to the admiration of the spectators. “I didn't expect the final to go the way it did. But it's wrestling, you know. And of course I'm very, very happy to win here,” Vorobyova said after the bout. 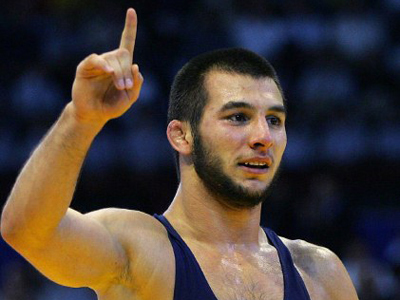 Despite the fact, that the names of the athletes, who will represent Russia at the 2012 Olympics are not known yet, the country's strongest wrestlers are putting in the final part of their preparations. But one thing is already certain – everybody's common aim will be to perform to the best of their abilities in London in four-month’s time.